Melbourne is known for museums, shopping, parks, nightlife, and zoos & aquariums. Your plan includes some of its best attractions: admire the natural beauty at Royal Botanic Gardens, admire the landmark architecture of Shrine of Remembrance, see the interesting displays at Melbourne Museum, and get your game on at Zero Latency. For more things to do, traveler tips, reviews, and tourist information, refer to the Melbourne trip planner . Mumbai, India to Melbourne is an approximately 17-hour flight. The time zone changes from India Standard Time to Australian Eastern Standard Time (Victoria), which is usually a 4 hour difference. Traveling from Mumbai in September, things will get cooler in Melbourne: highs are around 20°C and lows about 7°C. Wrap up your sightseeing on the 10th (Tue) early enough to travel to Sydney. Sydney is known for nightlife, trails, beaches, parks, and museums. 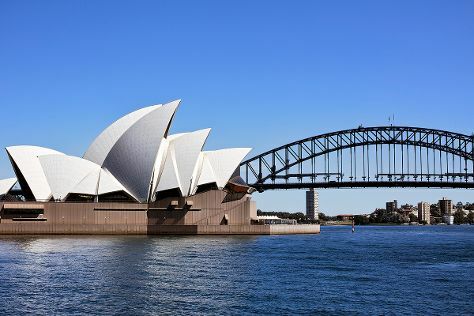 Your plan includes some of its best attractions: catch a live performance at Sydney Opera House, enjoy the sand and surf at Manly Beach, take a stroll through The Rocks, and browse the eclectic array of goods at Sydney Fish Market. To see other places to visit, traveler tips, photos, and tourist information, use the Sydney trip tool . Traveling by flight from Melbourne to Sydney takes 3.5 hours. Alternatively, you can do a combination of shuttle and flight; or drive. Traveling from Melbourne in September, expect Sydney to be a bit warmer, temps between 25°C and 14°C. Finish your sightseeing early on the 14th (Sat) so you can travel to Brisbane. Kick off your visit on the 15th (Sun): take in nature's colorful creations at Roma Street Parkland and then let the kids burn off some steam at South Bank Parklands. Get ready for a full day of sightseeing on the next day: get great views at Mount Coot-tha Lookout and then identify plant and animal life at Lone Pine Koala Sanctuary. 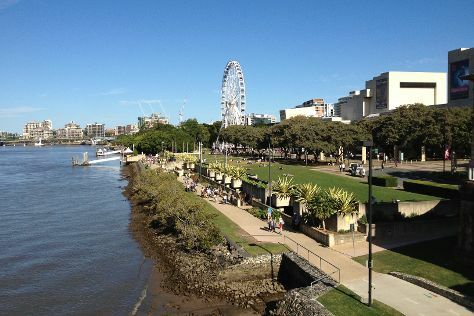 To see ratings, where to stay, and more tourist information, refer to the Brisbane route planning website . You can fly from Sydney to Brisbane in 4 hours. Alternatively, you can do a combination of flight and bus; or drive. In September, daily temperatures in Brisbane can reach 28°C, while at night they dip to 15°C. Finish your sightseeing early on the 16th (Mon) so you can travel to Cairns. Explore Cairns' surroundings by going to Palm Cove (Hartley's Crocodile Adventures & Palm Cove Beach). Spend the 17th (Tue) among aquatic life with a scuba or snorkeling tour. Spend the 19th (Thu) wandering through the wild on a nature and wildlife tour. There's still lots to do: stroll through Esplanade Boardwalk, admire the natural beauty at Botanical Gardens, enjoy some diversion at Esplanade Lagoon Pool, and let little ones run wild at Muddy's Playground. To see more things to do, ratings, photos, and other tourist information, go to the Cairns road trip planner. Traveling by flight from Brisbane to Cairns takes 5.5 hours. Alternatively, you can do a combination of bus and flight; or drive. In September, Cairns is somewhat warmer than Brisbane - with highs of 33°C and lows of 22°C. Wrap up your sightseeing by early afternoon on the 21st (Sat) to allow enough time to travel back home.